In the previous post we learnt how to add traffic and incident data into our map, if you haven't read it yet, you might want to take a look at it first before going on. It's been quite a journey for our ice cream men and now it's time to wrap things up. In this chapter we will recap the API features we've used and what we have learned so far. Let's go! In the first chapter we went over the basics so we can utilize HERE API's. HERE provides comprehensive APIs for mapping, routing, places and traffic data and much more, so in order to use them in our application, we needed to set them up. The first thing we did was set up a basic structure and took the first steps with HERE's APIs. We registered our app to obtain API keys and we learned how to place markers on the map and how to set custom SVG icons. The end result was a very simple interactive map with custom icons. A good foundation to build upon and spread the word of ice cream! You can refresh your memory with the basic setup post here. 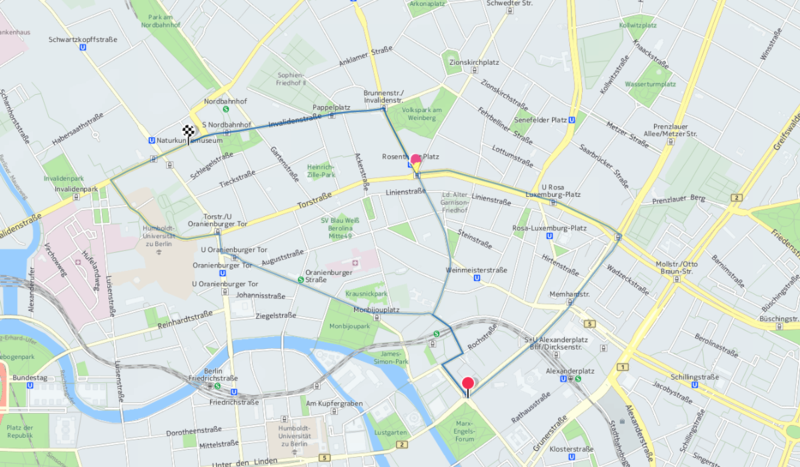 In this chapter we demonstrated how to use the browsers geolocation API with HERE maps. It's was pretty simple and it connected us to the real world and gave us some ideas how to move forward with our application. You can read the geolocation post here. Routing API is one of the interesting features provided by HERE. It comes handy in many cases, also in context of delivering ice cream! At this point our application had the ability to draw a map and a marker to our location. We extended this by adding routing from location A to location B and placing markers to the locations. Routing is perhaps the most used feature in our upcoming ice cream delivereries. We made this feature a little bit more practical by adding an interface component for rendering different route options so that our user can select the route that they would prefer. You can find the basic routing post here and the post on advanced routing here. If you're looking for more information on the routing API, you can check the documentation. Along routing another great feature provided by HERE is the so called Places API. As the name implies, this API helps us to find places and businesses from a certain geolocation. For our use this comes handy when our ice cream deliverers want to refill their ice cream storages. The Places API is also very easy to use since it takes simply a search term and location and returns all the places found with those criterias. You can the post on how to use the Places API here. Also you can find more information on the Places API in the documentation. The last API feature that we covered was HERE's traffic and incident data API. This provides us realtime information about traffic conditions and incidents happening in a certain area. The feature is really easy to use and drawing the data to the map was simply done by just placing traffic and incidents layers on our map. For our ice cream delivery company this was a very useful API since now our deliverers can navigate around the worst traffic jams and incidents. No more melting ice cream and more precise delivery times! You can find the traffic and incidents post here. Also you can read up more about the Traffic API in the documentation. Whew! We have come a long way with our ice cream delivery application. We built a basic application for delivering ice cream and we are ready to launch up our business! Of course our app is very simple but it demostrates how easy it is to build applications that uses maps and location data - from idea to reality - with help from HERE APIs. Thanks for reading and stay tuned for the next series!